An apprenticeship is a genuine job and under all circumstances you should be employed from day one. Apprenticeships combine practical training in a job with study. All apprenticeships include elements of on the job and off the job training, leading to industry recognised standards or qualifications. Some apprenticeships also require an assessment at the end of the programme to assess the apprentice`s ability and competence in their job role. The national minimum wage (NMW) for apprentices is £3.90 per hour as from April 2019. The apprentice NMW applies to apprentices aged under 19 or aged 19 or over and in the first year of their apprenticeship. Apprentices aged 25 and over, and not in the first year of their apprenticeship, will be entitled to the National Minimum Wage. Apprenticeships are available to anyone over the age of 16, living in England. The National Apprenticeship Service is committed to ensuring that high quality apprenticeships are a prestigious option, accessible to all people from all backgrounds. All vacancies on Find an apprenticeship will clearly state what the entry requirements are for the job role being advertised. There will be different entry requirements depending on the industry, job role and apprenticeship level. Recent changes to the minimum English and maths requirements now mean that people with a learning difficulty or disability can now access a level 2 intermediate apprenticeship as long as they can achieve an entry level 3 qualification during their apprenticeship. A Disability Confident Employer will generally offer an interview to any applicant that declares they have a disability and meets the minimum criteria as defined by the employer. For more details, search Disability Confident on GOV.UK. Where do I look for an apprenticeship? You can ‘get in and go far’ with an apprenticeship at some of Britain’s biggest and brightest companies. With so many opportunities on offer, there are several ways you can find the apprenticeship that is right for you. More information, including videos of current apprentices, is available at getingofar.gov.uk. You can search and apply for vacancies on Find an apprenticeship on GOV.UK. Once you register on Find an apprenticeship, you can set up email and text alerts about new apprenticeship vacancies that may interest you. If you would like to view more information on a selection of well-known employers you can visit the vacancy snapshot at amazingapprenticeships.com. It displays a range of employer fact files outlining the types of apprenticeship vacancies available at these companies across the year. If you have a specific interest in a certain employer, it is also worth going direct to their recruitment site. Contact the National Apprenticeship Helpdesk for further support on 0800 015 0400 or by email: nationalhelpdesk@findapprenticeship.service.gov.uk. 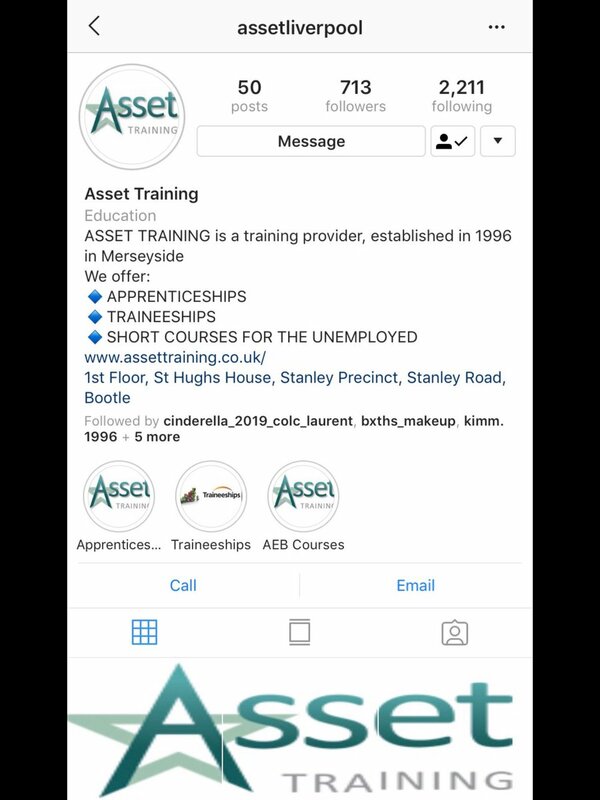 Our YouTube channel has useful hints and tips on applying plus other videos on apprenticeships, visit YouTube and search apprenticeships/NAS. At any one time on Find an apprenticeship, in a variety of careers and industries across England, there are between 12,000 – 20,000 apprenticeships vacancies online. Visit GOV.UK and search ‘apprenticeships’. You can search by keyword (job role, occupation type or apprenticeship level) and by location. In addition, some employers advertise vacancies on their website. Once the right job comes up, you can simply register on the website and follow the step by step instructions to apply for the role. What is the role of my training provider? This will all be documented in a commitment statement that is part of the Apprenticeship Agreement. This is an individual learning plan that your provider, your employer and you will all sign up to. You can find out more about learner satisfaction with training organisations and colleges by accessing the learner satisfaction survey results on the FE Choices pages of GOV.UK. How many hours per week should I be working? The minimum duration of each apprenticeship is based on the apprentice working 30 hours a week or more, including any off-the-job training you undertake. However, this does not apply in every circumstance. For example, people with caring responsibilities or people with a disability may work reduced weekly hours. Where this is the case, the duration of the apprenticeship will be extended to take account of this. The time spent on off-the-job training should be at least 20% and should be included as part of your hours. Your employer must allow you time to complete your apprenticeship within your working hours. If you need support with English and maths this should also be within working hours. Not quite ready for an apprenticeship or job? Traineeships are open to those aged 16-24 and consist of a high quality work placement with an employer, work preparation training and English and maths for those who have not achieved a GCSE Grade A* – C/9 – 4 or equivalent. Visit GOV.UK and search ‘traineeships’ for more information or to apply for traineeship opportunities. If you need help with you apprenticeship application or professional advice on making the right choices, visit: nationalcareersservice.direct.gov.uk for a web-chat with an adviser or call: 0800 100 900 (free from landlines and mobiles). exactly where you are going and roughly how long it will take. Ensure that you have enough money to get there and back. Find out how you would get to work on a daily basis. a phone call each day. references and make sure they a ready for when the employer needs them. best to keep applying for jobs just in case the initial one falls through. you know what areas you need to improve on for future interviews. clarification on a task, to demonstrate interest or request assistance. try hard and give 100% at all times even in the face of obstacles and hard work. business but make sure that you are contributing to the business at all times. although some employers may pay more. treated fairly in all aspects of your work.